Every quarter Formula Botanica runs a formulation challenge for its student and graduate community – this month we launch our challenge to make a natural cleansing balm. Our students submit their photos and formulations for skincare products that they’ve made, using our guidance. 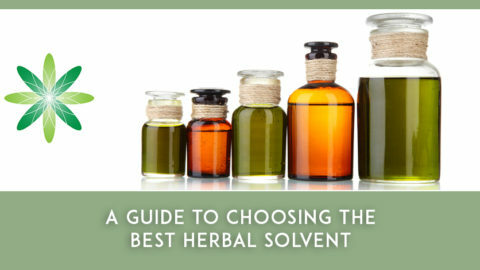 We’ve provided our sample formulation of a cleansing balm in this blog post. In September/October we challenged our students to make an after-sun body oil for their last challenge and the results were brilliant! We are now following on from that challenge by a cleansing balm. 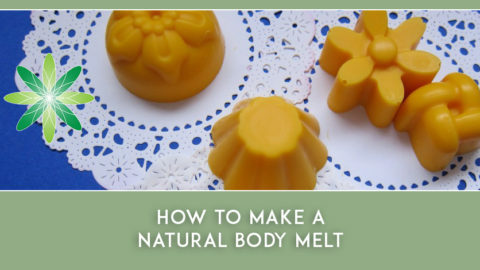 Making cleansing balms is a real treat for your skin! Especially during winter when it’s cold/freezing outside and warm inside from central heating, causing the sensitive skin of your face to feel dry and sometimes even feel like cardboard. During these months your skin can surely benefit from some extra pampering. Because the cleansing balm is an anhydrous product, it can be a challenge to attain a nice and non-greasy skin feel. 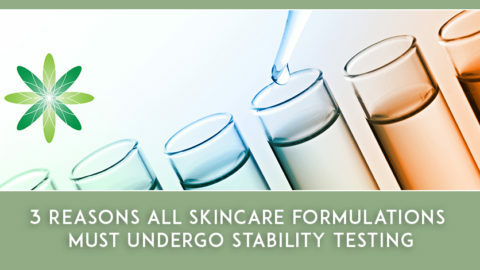 As a formulator it’s our job to overcome this, and to look for oils that have a dry-feel. Another possibility is to add a % of lecithin. In general this is an ingredient that is mostly know as one of the most natural emulsifiers available. In this kind of product it won’t act as an emulsifier, but as a skin feel enhancer. So when the product is being washed off, you won’t be left with a sticky greasy feeling afterwards! Adding a clay into an anhydrous product works quite miraculously. Firstly, it improves on the skin feel too, making it feel more cream-like. Secondly, it is known to cleanse the skin from sebum, make-up and environmental dirt. Thirdly, when you rub it in, it will work as a gentle exfoliator, providing you with a gentle scrub session and extra cleansing properties. Because it is a waterless system, the clay won’t have much of its well-known absorbent or adsorbent properties; but on a side note, it all depends on the ambient humidity and mode of application. So let’s say if you put the balm on your face (in a dry environment! *), and you leave it on your face while relaxing in the bath tub (it will then act as a mask too!) in a humid environment and will have some of its absorbent/adsorbent qualities. 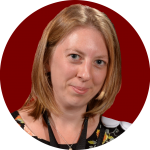 *Important note on this topic: we are all aware that clays are notoriously difficult to preserve when they are part of a water-based formula. So the best way to avoid contamination and unwanted microbes is to apply clays in waterless formulations. 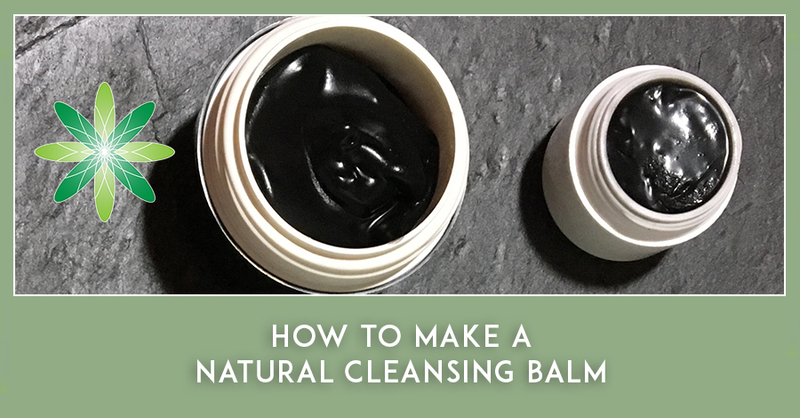 This will open up tons of exciting possibilities for a formulator, like this natural cleansing balm! BUT, it is crucial that you (and your customer) avoid at all cost that water will be introduced in the product. 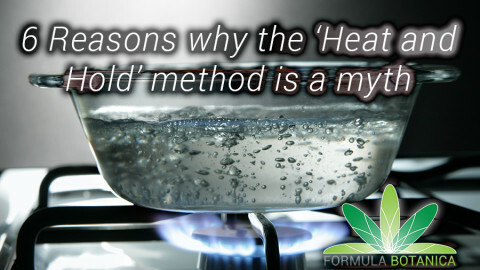 You can either do this by looking at a consistency of your product that works in an airless bottle for example. Or if your natural cleansing balm is in a jar, you need to make it really clear to your customer that you can’t leave the jar open, but instead must store it in a dry and clean place and not dip any wet fingers into it. Tricks to solve this issue are for example using/selling it in small jars so that it is consumed rapidly. Also adding a cute spatula to the jar can help, this way you or your customer are not tempted to dip your fingers in the jar. Not so long ago we were used to these mainstream clinical, dull white creams, lotions and potions (read our manifesto for ditching boring white skincare!). 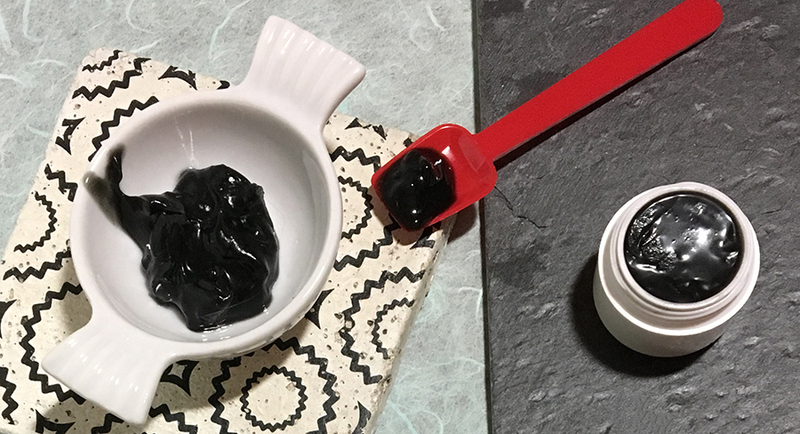 When students start out making their own natural skin care products, it might seem to weird to make formulations that contain different shades of colour. I am so happy that our point of view on this is making a massive U-turn: colourful products have been picked up big time! Colourful formulations gaining on popularity, and not only because this rainbow of colours offers beautiful eye candy, but also because these natural pigments give our skincare products even more extra benefits (think for example of beta-carotene, the pre-cursor of vitamin A, which gives a product a deep yellow to orange shade). 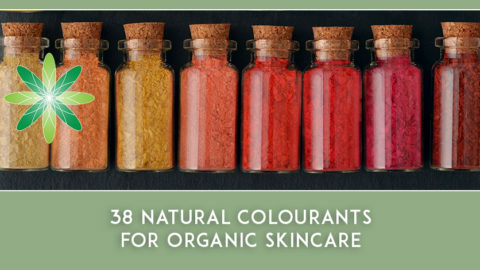 Read our 38 Natural Colourants for Organic Skincare to inspire you for this challenge and give you lots of future formulation ideas. Earthy: how it looks, how it feels, how it smells. You know, the kind where you dig into the earth when you want to plant something, and you are enveloped with this grounding ‘earthiness’, well, that kind. Deep cleansing: offering a fatty content for rough winter skin, combined with a deep cleansing effect for the face (not the eyes) without feeling stripped off of your skin barrier. I adore my shades of pink, yellow, orange and green! But for this challenge, I want to even take it a step further, and maybe even create a small wow/shock-effect. Activated charcoal perfectly ticks all my boxes! It has that earthy zzzzzing, the blackness is perfect for my scheme, and it is deep cleansing. Also charcoal is one of those hot must-have ingredients at the moment. At this percentage, charcoal won’t stain the skin and it will be easy to wash off. Cupuaçu butter belongs to the same family as cocoa butter, but it is more like a soft butter, like shea. It contains a balanced combination of saturated and unsaturated fatty acids. Cupuaçu butter has a nice and soft skin feel, and some might even say it is the perfect plant based substitute for lanolin. It has moisturizing and barrier repair properties. The scent is woody-nutty. Cocoa butter is a hard butter known for its excellent skin feel and it adds richness to the texture. It has a typical chocolatey scent. 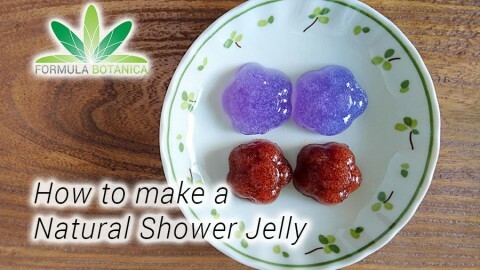 Myrica wax is a vegan wax, derived from the peels of the myrica berry. It improves the overall product on feel and texture. 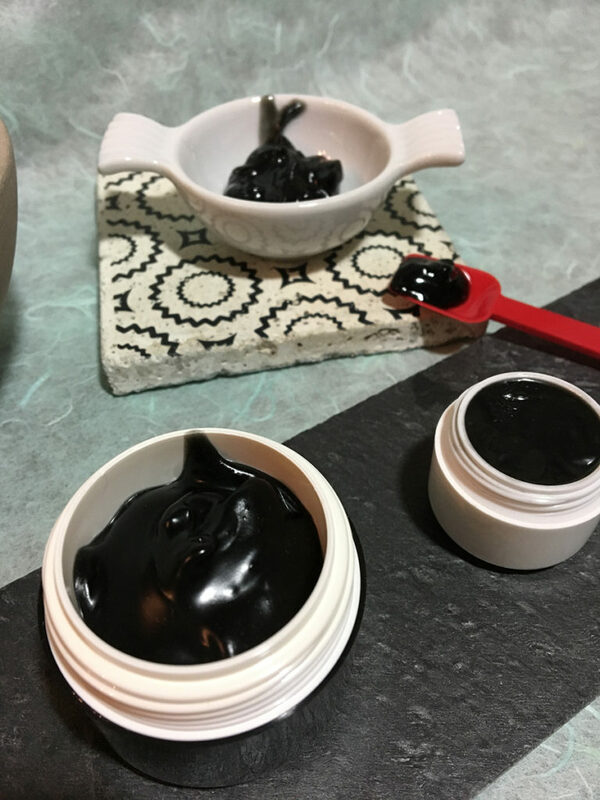 Here is a great post if you want some inspiration for your choice of wax: 6 Vegan Waxes for Organic Skincare. Passion fruit seed oil comes from the Amazonian fruit maracuja or passion fruit. The oil is rich in linoleic acid and oleic acid. This oil brings carotenoids, flavonoids and vitamin A to the formula and offers a lightly fruity sweet scent. Macadamia nut oil contains oleic acid and unusually high concentrations of palmitoleic acid. It’s known as a vanishing oil and gives the cleanser an extra silky soft feeling. It has a neutral scent. I’m going to use Cedarwood (cedrus atlantica bark oil) for its earthy and grounding scent. In skin care products it is mostly known and used as a cleanser, a general tonic and to reduce oily secretions. I’m going to pair this essential oil with sweet orange (citrus sinensis peel oil, expressed) for its uplifting effect, and to freshen up this whole blend. I’m planning to use alpha-bisabolol for its anti-inflammatory properties for (winter) sensitive skin and barrier repair, along with lecithin and tocopherol which will act as an anti-oxidant to prevent our lovely balm cleanser from going rancid prematurely. Step 1/ Melt the myrica wax, cocoa butter, cupuaçu butter and lecithin in a water bath. Stir during melting for a uniform temperature distribution. Step 2/ Once everything is melted, turn the heat off and remove the beaker from the water bath, stir while it cools down a little bit. Step 3/ When the blend is cooler, add phase B (part of the oil and anti-oxidant) in the mixture. Step 4/ Stir while cooling in intervals in the fridge or in a cold water bath. Step 5/ The clay won’t dissolve in the oil, but we pre-disperse it in part of our oil phase to avoid any clumps. When the butter comes to a light trace you can add this oil/clay blend in the mixture. Blend well. Step 6/ Add the heat sensitive ingredients, the alpha-bisabolol and the EO’s. Continue your cooling and stirring, until you reach the trace you’ve been looking for. Step 7/ Pour into suitable jars, label, and put your cleansing balm for at least 12 hour in the fridge (ideally 24hrs). And then let it adjust to room temperature. Now it’s your turn! Either try making our cleansing balm, or design your own formulation. 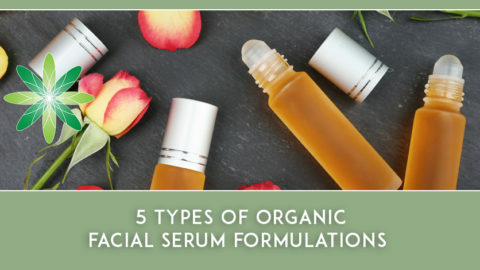 And if you are curious as to how Formula Botanica teaches organic cosmetic formulation in our courses, register now for our sample class. If you are a Formula Botanica student or graduate, the Formulation Challenge for this quarter will soon be emailed to you and posted in our online classroom. 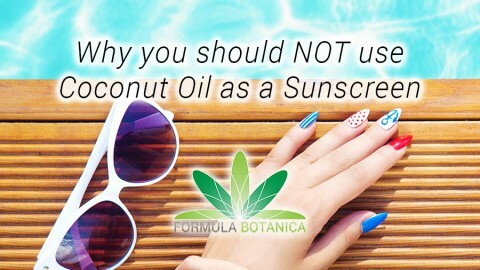 If you’re not a Formula Botanica Community member, leave us a comment below and tell us your experiences in formulating this natural cleansing balm.